National Theatre Live Presents: Follies. Sunday, 7 p.m., Paramount Theater, Charlottesville. Stephen Sondheim’s legendary musical is staged for the first time at the National Theatre and broadcast live to cinemas. The year is 1971, the city New York. There’s a party on the stage of the Weismann Theatre. Tomorrow the iconic building will be demolished. Thirty years after their final performance, the Follies girls gather to have a few drinks, sing a few songs, and lie about themselves. 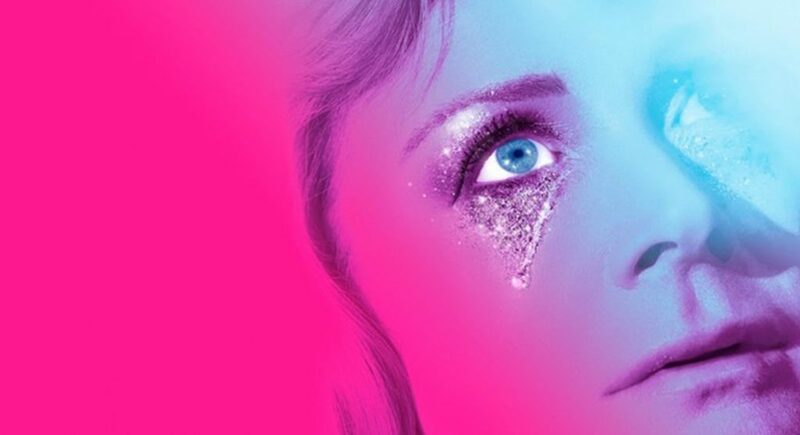 Tracie Bennett, Janie Dee, and Imelda Staunton play the magnificent Follies in this dazzling production which boasts a 37-person cast and 21-seat orchestra. Winner of Academy, Tony, Grammy and Olivier awards, Sondheim’s previous work includes A Little Night Music, Sweeney Todd, and Sunday in the Park with George. Amish Outlaws. Saturday, Doors Open at 7 p.m., Tally Ho Theater, Leesburg. Three out of the six members of Amish Outlaws were born and raised in a strict Amish upbringing. No electricity from landlines, no alcohol, no musical instruments, but their spirits were too wild for the Amish lifestyle. Once they trampled in the “Devil’s Playground,” there was no turning back. In the years since leaving on Rumspringa, the members of the Amish Outlaws have become acclimated to the pleasures and vices of the modern world—music, most of all. There is no “typical” Amish Outlaws show, but one can expect to see six men in full Amish garb releasing all of their pent up energy with an infectious joy. 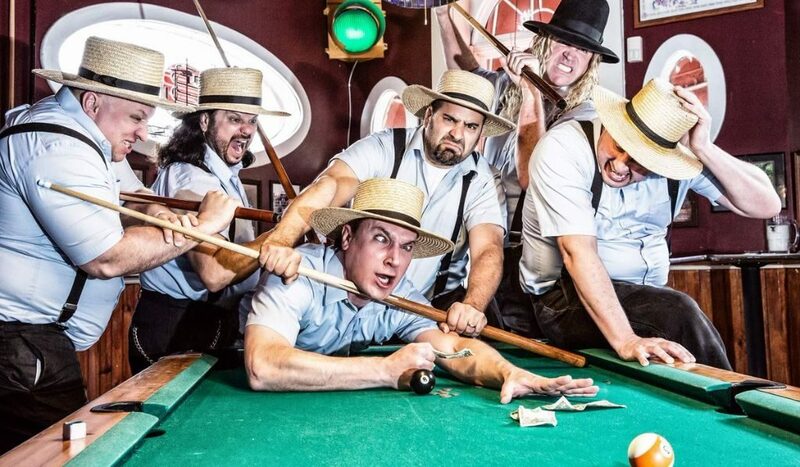 With a set that is always evolving as the brothers discover more and more music and culture, Amish Outlaws constantly surprise the audience and keep them guessing as to what they could possibly play next. Furnace Mountain & Art by Tia Maggio and Julie Miles. 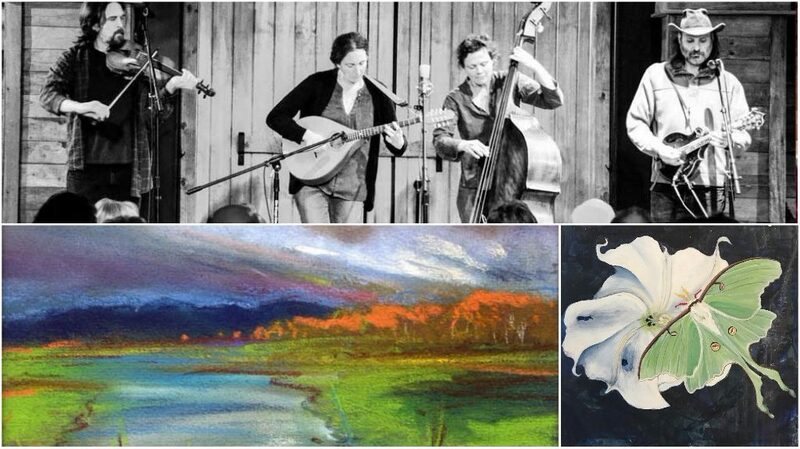 Friday, 8–10 p.m., Barns of Rose Hill, Berryville. Furnace Mountain has performed throughout the world, from the Yangtze River in China to the banks of the Shenandoah River, where they are the host band of Watermelon Park Festival, held on the site of one of the very first bluegrass festivals, in 1965. 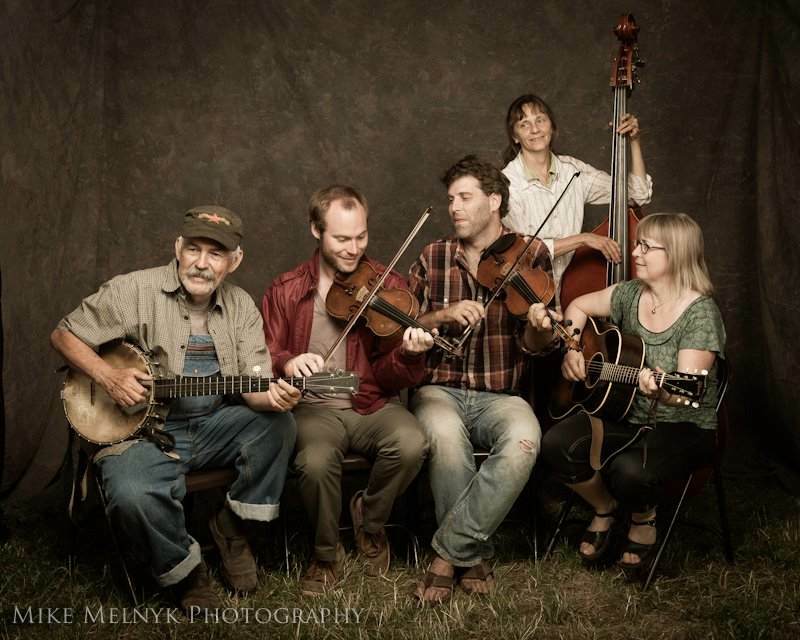 Furnace Mountain plays music from the Appalachian traditions, as well as original compositions, and songs penned by their favorite songwriting friends. Tia Maggio, a native New Yorker, was formally trained in graphic design and advertising at Pratt Institute and the University of Massachusetts, Amherst. Her colorful pastels are emotional, evocative, and deliver a most welcome warmth in this chilly season. 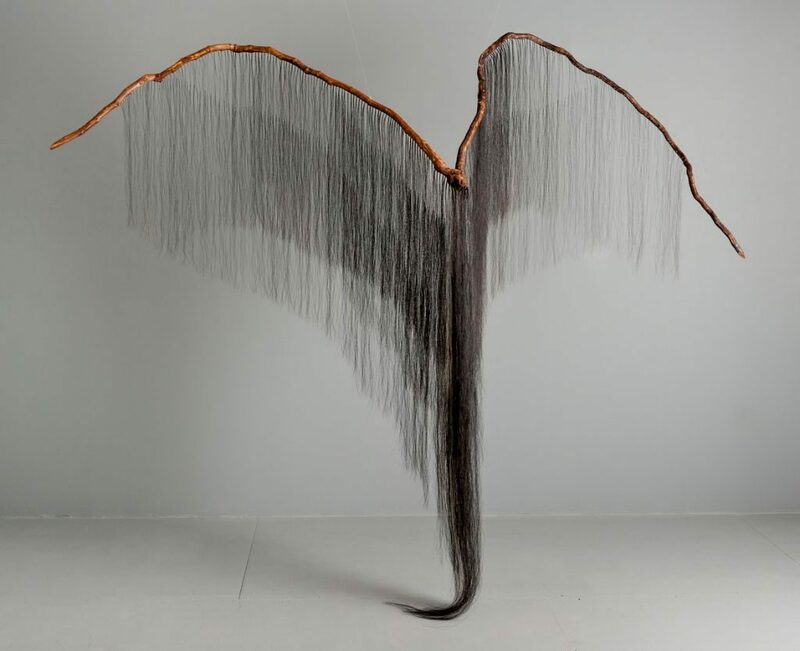 Julie Miles is both an artist and the founder of J. Miles Studios in Washington, D.C. Her paintings are explorations in texture, tension, close observation, and interpretation of the surrounding natural world. Bigfoot. Saturday, Doors Open at 7:30 p.m., Drum ‘n’ Strum, Warrenton.